With rising costs, petrol hikes, load shedding and generally tough economic times consumers are looking for ways to cut back on costs. Cutting back on car maintenance and especially tyre replacement should not be an option, says Jakkie Olivier, CEO of the Retail Motor Industry Organisation (RMI). • To keep tyres in good condition they should be rotated after every 7000 to 10 000km. 8000km is generally optimal. He recommends that the tyres are balanced, rotated and aligned. • The tyre pressure should also be checked every 10 to 14 days. Tyres are porous so they leak air. That’s why it’s important to check the pressure and adjust it to the manufacturer’s specifications. Don’t adjust a tyre’s pressure when the tyre is hot. Generally, a tyre will heat up after about 10 minutes of driving at an average speed. • The spare tyre should be checked as often as the other tyres but realistically this isn’t going to happen so once a month is good. • When it comes to replacing tyres, don’t even consider a second-hand option. Firstly, you have no idea or guarantee of what the tyre was subjected to before you came into contact with it. Secondly it always works out cheaper in the long run buying a new tyre. Second-hand tyres will need to be replaced much quicker and you can end up paying four-times more in the end. • Don’t go for a budget tyre. Rather get several quotes and go for a reliable brand through an accredited-TDAFA supplier. If you are in doubt about the cost, quality or service you can contact the TDAFA directly for advice. • Don’t do business with unscrupulous hawkers trading on the roadside. 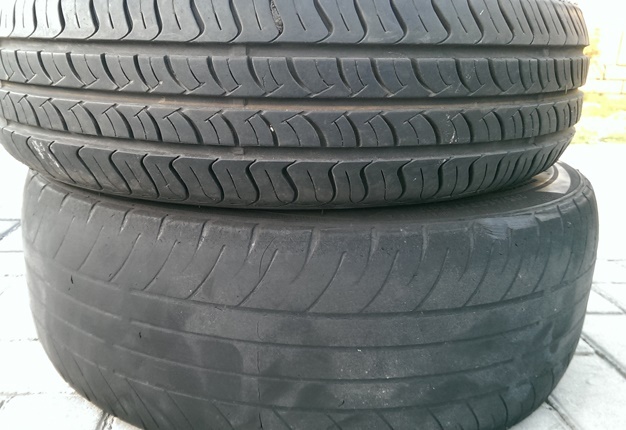 These hawkers generally sell badly worn passenger tyres which have been illegally re-grooved to give an appearance of sufficient tread depth. Re-grooving cuts into the carcass of a passenger tyre converting it into a death trap. the practice is illegal in South Africa. "Motorists also need to remember that the condition and life of a tyre is affected by driver behaviour. Harsh braking, hard cornering, speeding and so on all have an effect on the tyres," says Judd. Olivier says checking your tyres regularly needs to be a priority: "Don’t put it off. If you need to replace tyres but are short on cash speak to your mechanic or tyre supplier and find out what your options are. Find an accredited RMI/TDAFA fitment centre so you can be assured of quality standards of service and ethical trading conditions. Remember that the RMI has a long-standing track record of successful dispute resolution so if you are not satisfied with the service received there is recourse."